I won’t lie, I wasn’t entirely keen to get up early on a miserable, grey Sunday morning. And neither was I feeling too enthusiastic about the mile-long walk through the drizzle. My friend, who was nursing a rather nasty hangover, was even less enthusiastic than me. However, I’d heard such good things about the Riverside Real Food Market, I was determined to go and find out what it could offer a hungry vegetarian. 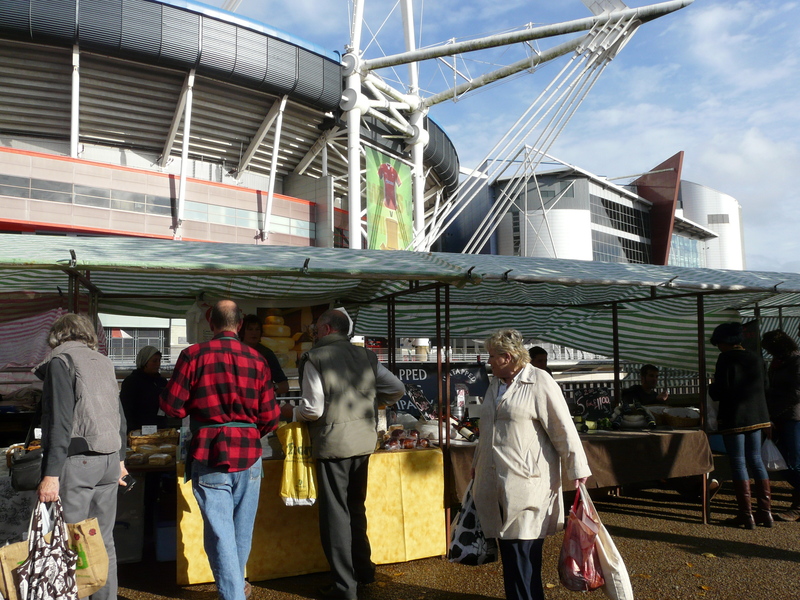 The market nestles on the western bank of the River Taff, in the shadow of Cardiff’s imposing Millennium Stadium. 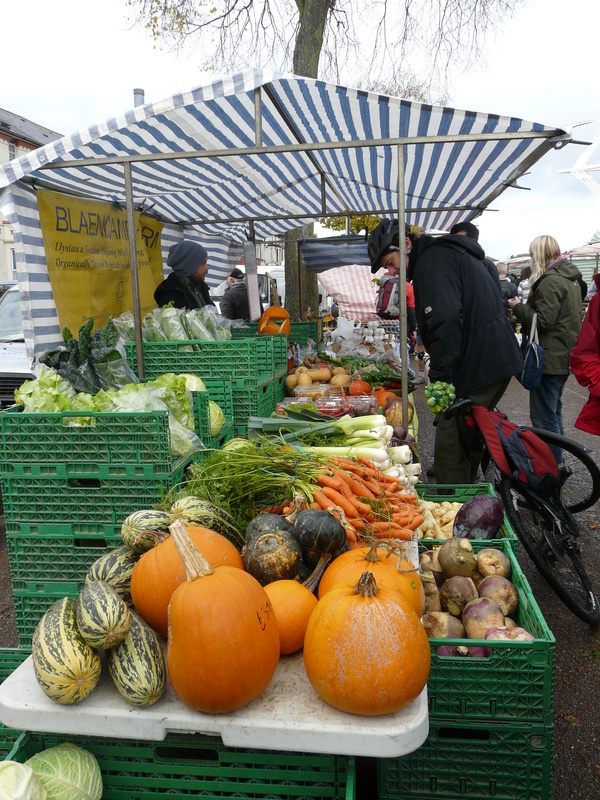 It runs from 10am until 2pm every Sunday and offers around 30 stalls. The market is run by the Riverside Community Market Association and was started in 1998 by a group of local food enthusiasts. Since then, it has continued to expand, attracting both locals and visitors. 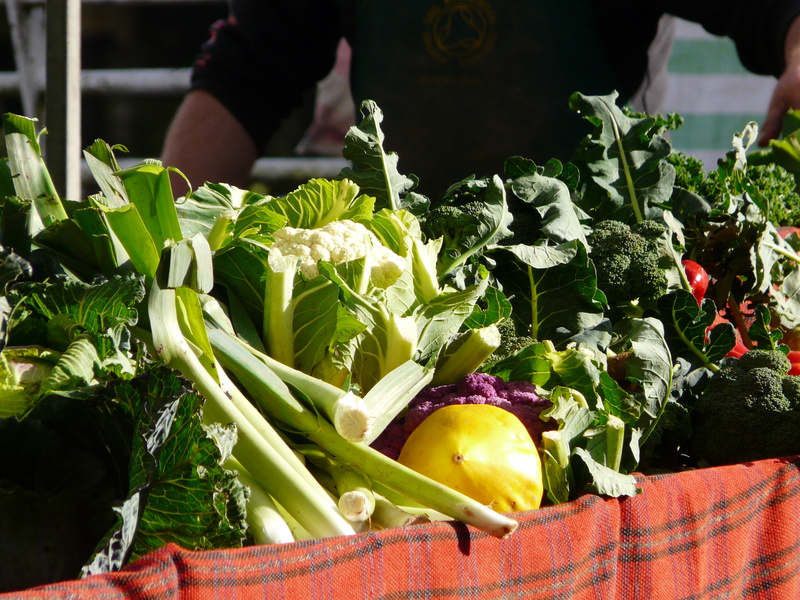 A recent survey showed that more than 1600 people attend the market on a typical Sunday. The first thing we noticed was the friendly and welcoming atmosphere of the market. The stall holders are passionate about their work and will take the time to explain exactly where they source their ingredients and how they make their products. 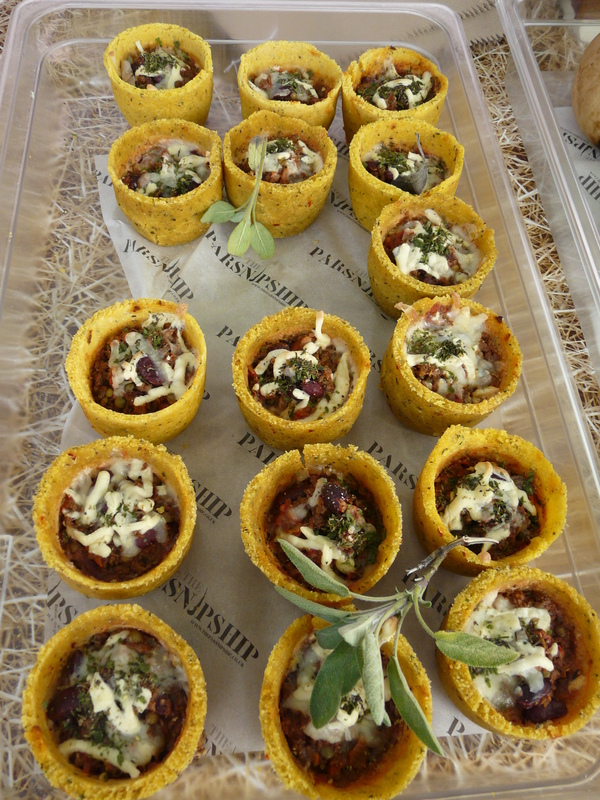 When it came to vegetarian stalls, we were spoilt for choice. We started by wandering over to the The Parsnipship, a co-operative that prides itself on offering 21st century vegetarian cuisine. The collective was founded by Ben Moss in 2009 and recruits and trains vegetarian cooks to run their own businesses, by cooking and selling locally sourced, seasonal food at farmers’ markets. 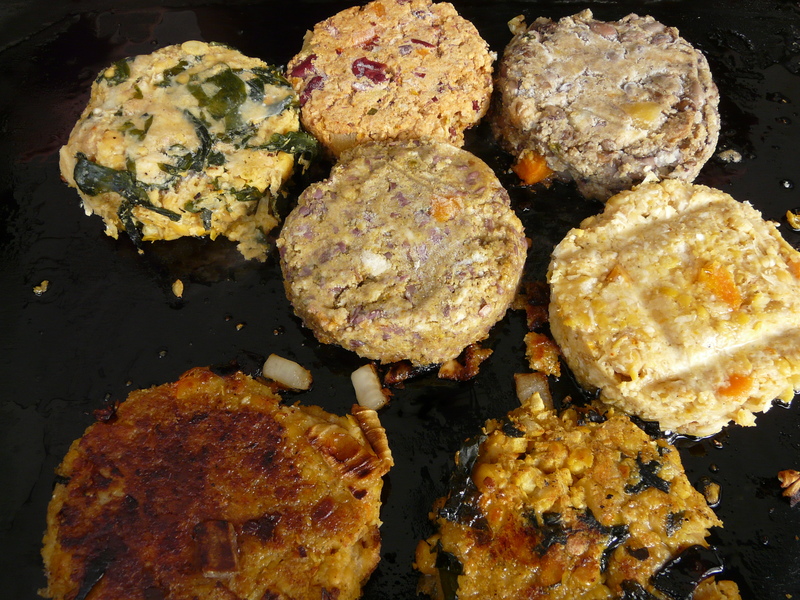 I tried a spinach and potato cake, which was absolutely delicious. It was beautifully browned on top and the spinach was very tender and fresh. The care of presentation and the combination of herbs made a very simple recipe into something really special. Next, we headed to the Cardiff Herb Company, which sells a range of organic herbs and herbal teas.The company grows all of its fresh-cut herbs and herb plants in both Cardiff and St Hilary, South Wales, and donates 10% of its profits to the Canton Community Garden. With our palettes cleansed, we couldn’t resist the alluring smell of veggie burgers and made our way over to the all-vegan Frantastic Crepes. 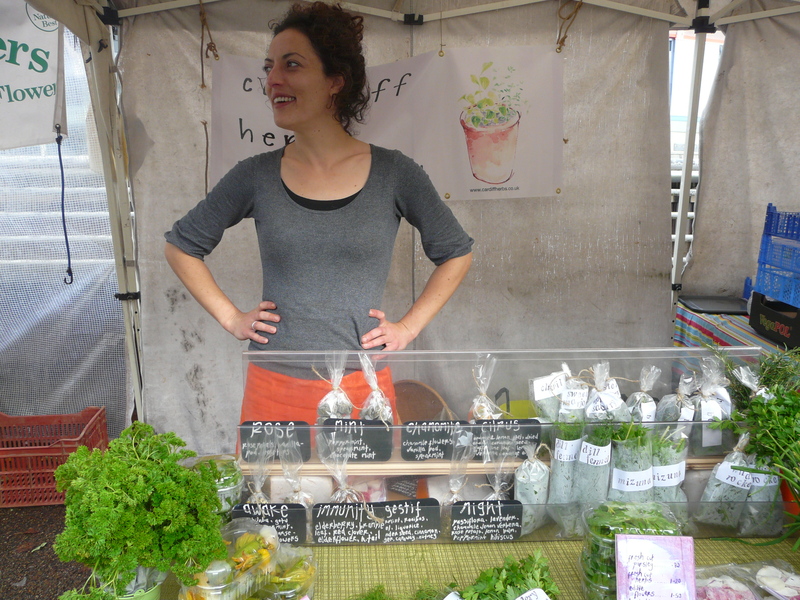 The stall is run by a wonderfully bubbly woman called Fran Munro, who makes a mean veggie burger! All of her products are locally sourced and freshly made. I tried a black-eyed bean burger, which had a delicious combination of spices and was served with a tangy homemade chutney. After my early morning reluctance to get out of bed, I left the market feeling contented with life, and Elena’s hangover had been miraculously cured. I would entirely recommend a trip to the Riverside Real Food Market. It will give you that warm, fuzzy glow inside, knowing that you’re buying fresh, healthy food and supporting the local economy, but most importantly, it’s just plain tasty!